Congratulations to our society member Dr. Andrii Portnov on his professorial appointment! Dr. Andrii Portnov was appointed a Professor for Entangled History of Ukraine at the European University “Viadrina”. This professorship is the only one in Germany with ‘history of Ukraine’ in its title. Recently Prof. Portnov gave a Lecture “within our “Science First Hand” series. A Ukrainian Studies Conference at the Viadrina is among Prof. Portnov`s plans for the next year. 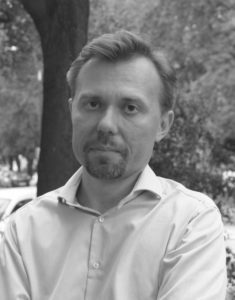 Prof. Andrii Portnov is the author of six books and more than two hundred scholarly publications in Ukrainian, Russian, Polish, English, German, French, Belarusian, Czech, Bulgarian, Lithuanian, and Japanese. He lectured at the Free University Berlin, Humboldt University in Berlin, Universities of Cambridge, Helsinki and Basel, Free University of Brussels, SciencesPo Paris and SciencesPo Lyon. Portnov conducted research at the Trier University, Ivan Krypiakevych Institute for Ukrainian Studies in Lviv, National Institute for Strategic Studies in Kyiv, Centre for the Holocaust and Genocide Studies in Amsterdam, Centre for the Studies of Russia, Caucasus and Central Europe (CERCEC) in Paris, Institute for Advanced Study (WIKO) in Berlin, Institute for Human Sciences (IWM) in Vienna, the University of Geneva, the Institute of History of the Academy of Sciences of Lithuania. Portnov is the director of The Prisma Ukraïna. This is a Research Network Eastern Europe, which provides space for the research of recent developments in Ukraine and Eastern Europe and their historical, cultural and social conditions. It connects research expertise in Berlin, Brandenburg and beyond, and invites scholars from Eastern Europe as fellows.